Chris Hill, a pioneer in the development of the Virginia vineyard and wine industry, was honored Feb. 23 with the Virginia Vineyards Association Lifetime Achievement Award. Mr. Hill established the 15-acre Glendower Vineyards near Scottsville in 1981 with George Jackson. In the early 1990s, he began lending assistance to friends and fellow growers with vineyard problems, and by 1995 that work had developed into a consulting business. In that capacity, he has played a significant role in the establishment and growth of several dozen vineyards around the Commonwealth. “Many would say that Chris’s effectiveness is his combination of knowledge, 30-plus years of first-hand grape growing experience, an ability to connect people from agricultural workers to vineyard and winery owners, and his unwavering pragmatism,” added Tony Wolf, professor of viticulture at Virginia Tech and technical advisor to the VVA. 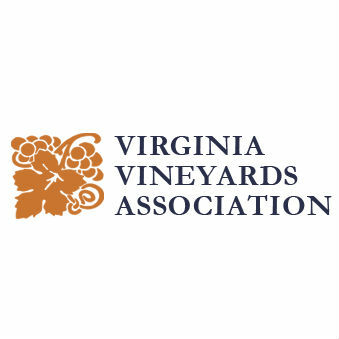 Mr. Hill is a past president of the VVA, and he served two terms on the Virginia Wine Board. In 2005, he was the first recipient of the VVA’s Grower of the Year award. He also helped a number of aspiring viticulturists who took his classes at Piedmont Virginia Community College, which offers certificate programs in viticulture and enology. He taught at the Charlottesville-based community college for a decade, ending in 2015. Mr. Hill was an early advocate of vertically divided vine-training systems, following the lead of Dr. Richard Smart, and has often utilized the Smart-Dyson Ballerina training system. Looking for a low-cost way to tame the excessive vigor of his vines, Mr. Hill decided to divide the canopy vertically, allowing descending shoots to simply fall without an additional catch wire. He adapted this approach to create a “solar collector” system, which maximizes sunlight for vines on vigorous sites with an east-west orientation. Mr. Hill said he is most proud of being part of a relatively young agricultural industry that is proving to be very successful. “It has been very affirming and exciting to watch our industry grow. It is extremely pleasing to help others get their dreams in motion and to watch them become successful,” he said. Mr. Hill received a BA from Duke University and served a stint in the U.S. Army as a medical technician. He subsequently earned a BS degree in 1978 and a Master of Science degree in horticulture two years later, both from Virginia Tech. Along with his wife, Kathy Jaquette, he lives in Covesville.